Datatrax is a leader in interactive marketing technology specifically designed for the tourism industry. Our existing national and international network of TourismTouchscreen kiosk infrastructure, and the development of the comprehensive mobile tourism app Take You There, position Datatrax uniquely to offer regional operators a far-reaching and cost-effective method of promoting their businesses domestically and internationally. We work in partnership with local and regional tourism organisations to deliver to travellers the most engaging informational content on local attractions, accommodation, dining options, shopping and services, in destinations across the network. Datatrax started as a business concept in 1992, to create a touchscreen-based tourism and leisure solution that provided information efficiently and responsively, using less paper and making access to information fun. Our initial research into the multimedia application field found that many of the off‑the‑shelf products available were less than reliable for 24-hour-a-day touchscreen applications. We knew we needed a sophisticated system, yet one that could withstand the rigors of semi-hostile public environments. As a result, in 1993 our team began development of an IBM PC-based touchscreen application called ION. When we first started we had no idea of the complexities and intricacies involved in the development of a reliable and responsive touchscreen product for public use. Many months and many sleepless nights later, Master of Ceremonies Fred Daily launched Datatrax’s first touchscreen application to the public at the Rydges Pavilion Hotel in Canberra, Australia on Tuesday, 26 April 1994. We learned the hard way that PCs and their software weren’t designed for use in 24-hour-a-day touchscreen applications. It took many more months and sleepless nights before we were satisfied that the application was suitable for the public domain. Over the period following, we installed a further dozen of these tourism and leisure touchscreens throughout Canberra. 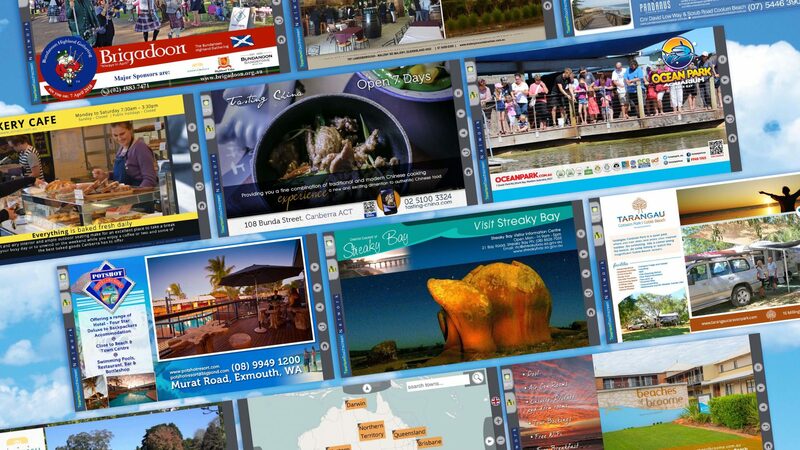 Datatrax then won a New South Wales Government tender, ahead of the 2000 Summer Olympic Games in Sydney, to place TourismTouchscreens into six Gateway visitor information centres: Tweed Heads, Tenterfield, Central Coast, Lithgow, Wollongong, and Eden. From there, we have continued to strengthen relationships with visitor information centres across Australia and now have a presence in every state and territory. 2006 saw Datatrax's first foray into New Zealand. A local company was established, and the network's necessary infrastructure reached a critical momentum in 2009. The New Zealand network has been steadily growing since with a significant number of i-Sites on the North Island and good potential for continued expansion throughout the North and South Island. Datatrax has been involved with the annual i-Site conference, and is also interested in expanding the footprint of the network through the Countertop model at major attractions, accommodation venues and other key sites. The TourismTouchscreen Network then broke into the French market in 2011. The first kiosk was installed at the Office de Tourisme in Luchon, in the Midi-Pyrenees region of southwestern France. A further five locations were added in late 2012, and Datatrax is currently seeking to move northward through partnerships with local tourism offices. 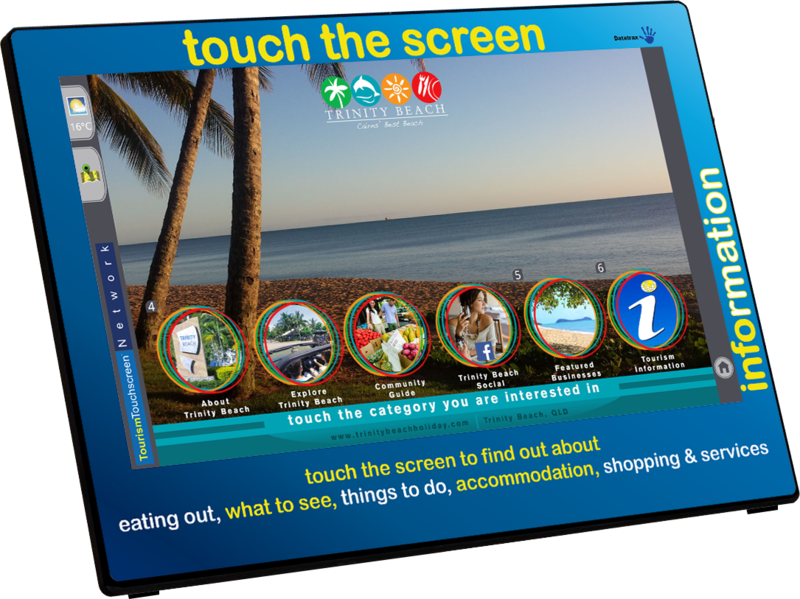 In early 2012 we began the rollout of the online TourismTouchscreen system, which introduced new web-based features including integrated local maps and weather, as well as links to tourism partners' official websites. Since then we have added multilingual navigation with new languages being added all the time. After months of development, Take You There was launched in February 2013 at the Australian Tourism Awards in Hobart. The app is available for download on iPhone, iPad, and Android devices. Operators and visitor information centres across the network are now helping to promote downloads and usage of Take You There by displaying stickers and banners on their premises. Datatrax has experienced a massive increase in the reach and capability of the network and we are continuing to work in partnership with various tourism-related organisations to promote destinations to as many visitors as possible. Who are the people behind the network? You could be one of them!